Leslie Moe-Kaiser is a brand and reputation management professional. For more than a decade, Leslie helped build and strengthen State Farm Insurance Company’s coalitions and relationships with national Asian Pacific American organizations. Building upon this experience - and combined with more than 25 years of business consulting and mentoring students and professionals – Leslie works with organizations and individuals in the areas of fundraising, business acumen, intercultural competency and professional growth. As a result, Leslie is an energetic spokesperson for Asian and Pacific Islander American communities. Leslie's energy, talents and passion are seen through her volunteer engagements. She serves as Co-Chair of The Center for Asian Pacific American Women, Executive Vice President for the Organization of Chinese Americans, and as an Advisory Council member for Asian Americans Advancing Justice|AAJC. She is a 2003 National Fellow of the Asian Pacific American Women's Leadership Institute. An entrepreneur at heart, Leslie founded Dynasty Pearls, a consultancy on the cultivation and appreciation of pearls. Leslie holds a PhD in Educational Administration of Higher Education from Illinois State University; an MPh and MA in Asian Art History from the University of Kansas and a B.B.A. in Accounting from the University of Hawaii. Her post-graduate studies also took place at Jochi Daigaku (Sophia University) in Tokyo, Japan. Leslie is listed in Who’s Who in the Humanities, 1992-93; and is a Chartered Life Underwriter (CLU). She is a USPTA certified tennis pro. State Coordinator of the 21st Century Community Learning Centers for Washington State’s Office of Superintendent of Public Instruction. She has worked in the public sector for more than 26 years. Prior to working for the state, she managed the agenda and the executive staff of the King County Executive Gary Locke; as well as, coordinated the community outreach activities. She has been actively involved in both local community and political activities and Asian Pacific American community issues. Tony is Senior Director, Corporate Affairs Constituent Relations for Walmart. He joined the company December 2006. In his position, Tony oversees Walmart’s national external efforts in diverse and multicultural communities. Prior to Walmart, Tony was with State Farm where he served as Assistant Director of Community Alliances in Corporate Communications and External Relations. He was responsible for all external efforts in multicultural communities as well as all efforts in Auto Safety, Disaster Preparedness, Community and Economic Development, and Financial Education. Besides serving on the Board of Trustees of Center for Asian Pacific American Women, Tony serves as Chair of the NAACP ACT-SO Advisory Council and as a trustee of the Ron Brown Scholars Program. In 2014 Tony was honored with the Save-A-Student Award presented by the Equal Education Opportunity Group. In 2012 he was presented with the Merge Award by the Merge Summit for his commitment to inspiring, uplifting and empowering others. In 2002 and 2010 Tony was the recipient of the Donald H. McGannon Award, the highest distinction given by the National Urban League to a corporate individual in recognition of community efforts. He is the only corporate individual to have received this award twice. Donna Fujimoto Cole founded Cole Chemical in 1980 at the age of 27, divorced with a four-year old daughter with $5,000 from savings. In 2017, Cole Chemical’s business exceeded $15 million in chemical, fuel and synthetic lubricant sales with chemical supply chain management solutions to a wide range of customers and industries. Some customers include: Chevron, Colgate, ExxonMobil, Georgia Power, Lockheed Martin, Phillips 66, Shell, Toyota and United Airlines. Consistently receiving years of quality awards from Fortune 500 companies and the US Small Business Administration. 2016 Ms. Cole was one of Houston Chronicle’s Distinguished Women of Houston and the Houston Business Journal’s Women in Energy Lifetime Achievement Award, and Cole Chemical named the United States Government Small Business Development Minority Owned Business of the Year Award. Rice University’s Chao Center for Asian Studies, The Advisory Board of the Women’s Home and International Supply Management. Ms. Cole attended University of Texas - Pan American and graduated from Manpower Business Training Institute in Computer Operations and Programming in1972. She is Co-founder of the Pantheon of Women, a production company telling great stories about strong women and supportive men in film and television to change the way men treat and perceive women and how women see themselves. Ms. Cole was a 1996 APAWLI Fellow, Jewish American Committee Asian Leader Delegate in 2005, USJC JALD Fellow 2005, 2006 Center for Houston’s Future, and American leadership Forum Class of XXV.She enjoys learning, cooking, golfing, mentoring others, public speaking and giving back to the community. Eva is an HR professional with 25 years of HR experience and success in providing strategic human resources direction to drive positive change. She is currently the Chief Human Resources Officer for Library Systems and Services. Her previous roles include HR leadership positions in both the profit and non-profit sectors which include Sodexo, Community Services for Autistic Adults and Children, and State Farm Insurance. Eva holds an MS in Organization Development and Strategic Human Resources from Johns Hopkins University and a BA in Business Administration from Eastern Nazarene University. Eva grew up in the Washington, D.C. metropolitan area and currently resides in Columbia, MD. As the former Diversity Affairs Director for Nordstrom, Inc., Colleen Fukui-Sketchley focused on developing and executing a comprehensive approach to diversity and inclusion through initiatives that supported the entire company. Her work enhanced the company’s commitment to diversity by weaving strategic elements into people, product and service initiatives. Colleen was with the company since she graduated from the University of Washington in 1994. 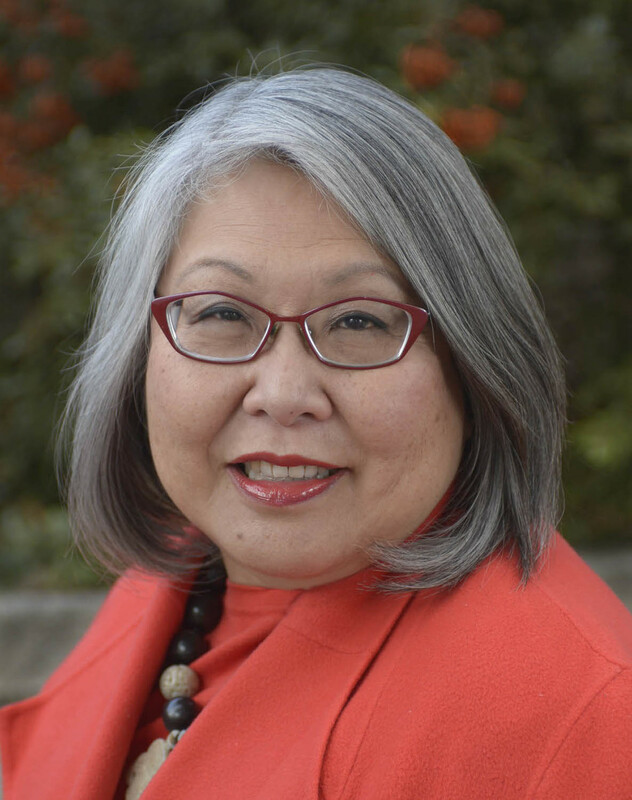 In addition to her service on the Board of the Center for Asian Pacific American Women, she serves on the Board and the Corporate Advisory Board of the US Business Leadership Network, is a member of the Governor’s Taskforce for Disability Employment serving a 4-year term for the Governor of the State of Washington and is a Past-President of the University of Washington Alumni Association. Martha Lee has been intrinsically involved in leadership development throughout her 35-year career supporting emerging and seasoned leaders in finding and following their passions. For the past 12 years, Martha has been the founding executive director of the Kellogg Fellows Leadership alliance (KFLA), a diverse network of 1600 leaders from 53 countries selected by the W.K. Kellogg Foundation over the span of 30 years because they all had a passion to make a difference. This network of Kellogg Fellows is committed to positive change and giving back to their communities. KFLA works to provide opportunities to the Fellows to join resources with others to take action on issues of growing importance that make lasting differences in communities. It also serves as a gathering place for incubation and innovation of ideas, providing a space to renew Fellows’ capacity to be present, strengthen their ability to be fearless, gain greater clarity, and bring them together to discover their combined capacity for service, a service that ripples outward through collaborative partnerships. Since 2002, KFLA has held numerous forums and conferences, produced leadership publications, and seeded leadership efforts across the globe resulting in an internationally recognized network known for its keen ability of connecting Fellows’ leadership and technical expertise with others in an effort to expand their capacity to serve those in need. During her Kellogg fellowship, Martha founded and held the position of President & CEO of the Asian Pacific American Leadership Institute (APAWLI). She founded APAWLI because of the belief that Asian American and Pacific Islander women should be at leadership tables; enhancing and enriching their skills and their understanding of leading in a culturally centered way, owning their power as AAPI women. During her 10-year tenure with the organization, she worked with the Gallup Organization to publish a study with data collected by Gallup on the strengths and talents of AAPI women leaders. Opportunities to serve as a program officer and manager for the Denver Community Foundation, program director for the National Hispana Leadership Institute, project manager for the Mile High United Way, and executive director of the Asian American Foundation of Colorado prepared her path to serve as a change agent. Phyllis Leung Kim has nearly thirty years of global experience in non-profit management and leading public-private initiatives. Her professional career includes serving as the Sr. Vice President for Resource Development at NeighborWorks America, Sr. Vice President for the Office of Grants Administration at the AARP Foundation, Deputy Executive Director and Interim Executive Director at the PBS Foundation and a Vice President at Fleishman-Hillard Inc. In these positions, she worked with leading Fortune 100 companies to further their corporate mission. Much of her career also involved public service media, holding senior level positions at public broadcasting stations in New York and Missouri, and at the St. Louis Post-Dispatch. In 2004, she was approached by Washington University in St. Louis, Missouri, to develop the curriculum for a course on international public relations as well as to teach the course. She became an adjunct professor at Washington University for three years, teaching international and general public relations. Phyllis has served on numerous boards, and has been recognized with awards from PBS, the Missouri-Illinois Telecourse Consortium for advancing distance learning and Sidwell Friends School for service to the school, students and parents. She has a passion for the performing and visual arts, and has participated on review panels at the National Endowment for the Arts. Phyllis received a bachelor’s degree from the University of Florida in Journalism and Communications, and a minor in computer science. It was also at the University of Florida where she learned to love football. Tuyet Duong is a Visiting Fellow at the Office for Victims of Crime (OVC) within the U.S. Department of Justice, which administers over $2 billion from the Crime Victims Fund. She is charged with supporting OVC with its language access planning and culturally specific policy-making and grant making. Ms. Duong has over 13 years of experience in the government and nonprofit sectors with human rights, civil rights, and immigration law and policy. Most recently, she led a local nonprofit and victim service provider, Asian/Pacific Islander Domestic Violence Resource Project. Before that, Ms. Duong served as a Senior Advisor for the White House Initiative on Asian Americans and Pacific Islanders, leading philanthropic engagement, private sector engagement, small business capacity building, and immigration and civil rights policy work. She also served as Policy Advisor at the Department of Homeland Security Office for Civil Rights and Civil Liberties. There, she received the Officer’s Inaugural Distinguished Award of Merit for her work on the Department’s civil rights response after the BP Oil Spill. She previously led immigration policy and campaigns at Asians Advancing Justice - Asian American Justice Center and managed legal assistance programs for survivors of violence and trauma at BPSOS-Houston. There, she aided coalition partners on a historic disaster response effort for Hurricane Katrina evacuees. She holds a J.D. from the University of Texas School of Law and a B.A. in English from the University of Texas. Ms. Duong lives in Bowie, Maryland with her husband, three sons, and her mother-in-law. Salvador Mendoza serves as Vice President of Diversity & Inclusion at NBCUniversal. Mendoza is responsible for the development of short and long-term strategies in the areas of workforce, leadership development, community partnerships and NBCUniversal’s Employee Resource Groups, with a focus on enhancing the company’s diverse and inclusive environment. In addition, he is responsible for building and maintaining partnerships with local, regional and national diverse organizations. Sal is considered an expert in the field of diversity & inclusion and holds several leadership positions in many Advisory Boards, among them, the American Red Cross, the Center for Asian Pacific American Women and the National Hispanic Corporate Council. Born in Honduras and raised on the South Side of Chicago, Mendoza’s adjustment to a new culture and environment created an incredible formative experience that shaped his passion for diversity & Inclusion. Sal received a B.S. from Chicago State University and M.S. from Governors State University. Among his many accolades, he has been recognized as one of Hispanic Business Magazine’s 100 Most Influential Hispanics, iConexion Game Changer Award, Imagen Foundation’s Powerful & Influential Latinos in Entertainment, Black Meetings & Tourism APEX Award for Distinguished Service, the Disability Champion Award and Chicago State University’s Latino Alumni Award.